world and do the quests. Below you find a description of this game with some screenshots and videos. Ok, what can I do for you? I am capable and very motivated, but for the moment I am struggling financially .After an accident I cannot practice my profession any more. So I need your support and it will be great when you do this. When you become a patron, you help me become financially stable, and so I can spend more time to create my games and my music. Now you may have a look on my latest game creation. The game I`m working on this time. IMPORTANT: The game may not run with some Intel graphic chips. what you can do with a railway also. 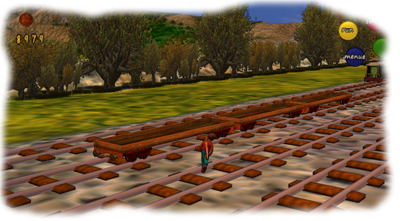 You can put together your own trains, hang them on any locomotive and drive off with it. the carriages uncouple and get other carriages, and still something more. In addition there is a company work with a turntable, so you can leave all locomotives in the roundhouse. entrance to the freight depot and to the locomotive cemetery. yet are not included. This comes later. When I reach $2000 per month, every patron will get the next levels, engines and waggons for free. 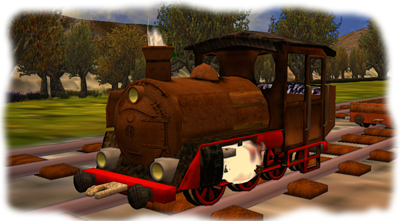 Actually there are 5 levels for driving and one steam engine with three waggons in the game. 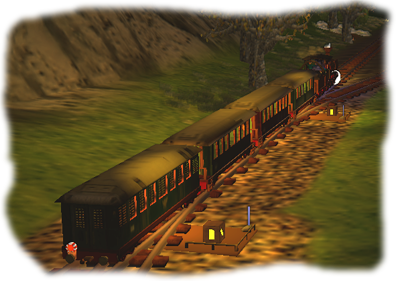 You get free download for the next three levels, two steam engines and seven other waggons.